Taxes in Retirement: A Potential Time-Bomb for Many! No one knows what taxes will be like in the coming years; but, with a debt that’s rising dramatically and an ageing baby-boomer population moving ever-increasing numbers into retirement, this is a collision that isn’t hard to predict. For retirees, it’s like being in business with a partner who has the ONLY vote on how much of the company gross s/he gets to take. And your partner gets it BEFORE you get to pay the overhead with whatever s/he decides should be left. 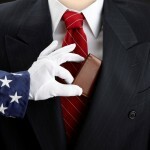 Is it possible to completely eliminate Uncle Sam as a partner? I think so. So do many others, including retirement guru, Ed Slott, who many of you may have seen on PBS and who is also a practicing CPA. But, is it possible for everyone? Maybe not; but, almost everyone can mitigate taxes dramatically and many can likely eliminate them completely. Think about THAT! Wouldn’t it be nice if you lived through retirement without paying income taxes, regardless of what tax law changes Congress made? Do the math: That could really add up! If you’re retiring now, a tax-free retirement isn’t going to happen. There are no ‘quick-fixes’, but you can take steps to reduce future taxes, and keep more of your own money. Everyone’s situation is different, but it’s worth pursuing. If you’re more than ten years away from taking retirement income from your retirement plans (you must begin taking required minimum distributions around the time you turn age 70-1/2), then a tax-free retirement may be very realistic! How do you begin your journey to a possible tax-free retirement? 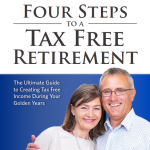 You might want to begin by reviewing this 12-page outline, 4 Steps to a Tax-Free Retirement. This will help you understand your situation, provide a framework for your decision-making, and hopefully get you started on your journey. 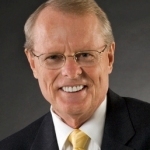 Jim Lorenzen is a CERTIFIED FINANCIAL PLANNER® professional and An Accredited Investment Fiduciary® serving private clients since 1991. Jim is Founding Principal of The Independent Financial Group, a fee-based registered investment advisor with clients located across the U.S.. He is also licensed for insurance as an independent agent under California license 0C00742. The Independent Financial Group does not provide legal or tax advice and nothing contained herein should be construed as securities or investment advice, nor an opinion regarding the appropriateness of any investment to the individual reader. The general information provided should not be acted upon without obtaining specific legal, tax, and investment advice from an appropriate licensed professional.